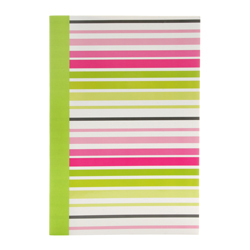 Fun notebook with springlike striped pattern and softstitch lime binding. 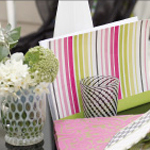 Designed by Tricia Guild for Designers Guild/UK. CLOSEOUT...only 5 left! SIZE DIMENSIONS: ~7" x 9"